If you're an unknown writer, social media can seem like a blessing. But at times, also a curse. Social media marketing is the perfect way to gain coverage for your work as a writer, and it's free! Many new writers wanting to get published, eagerly throw themselves into the process of learning how to harness Facebook, Twitter and their own blog to them noticed. Plenty of writer's use social media to market their books and writing, and have become really successful. Unfortunately using social media, isn't all plain sailing, it can take quite a number of years before any fruit is seen from the labour put in. And much of that time is spent on social media, which can take away precious time from writing. 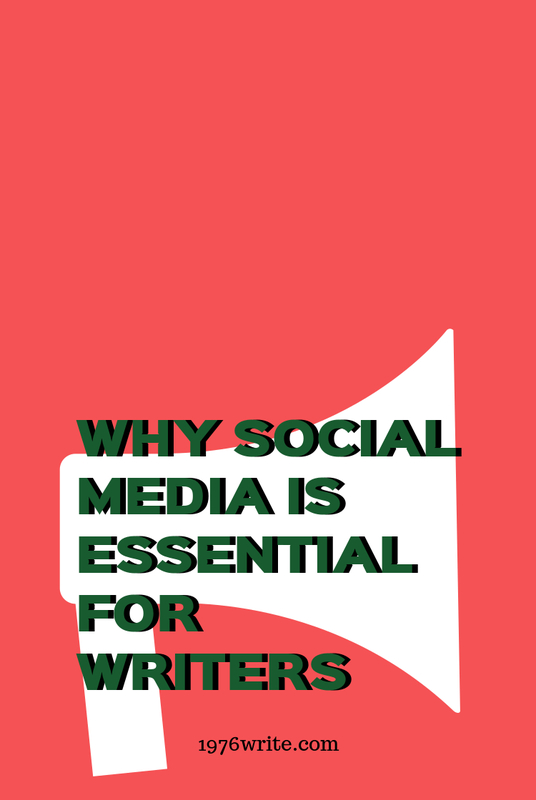 So is social media really worth the time spent on it, for struggling writers out there? Use the platforms that you feel you get the most out of. You can use platforms such as Twitter and Pinterest to post your links and blog images to regularly. With a simple schedule and a social media management platform such as Buffer, you can take the pain out of tweeting or pinning. Don't overextend yourself too much. You may not be a full-time writer, having little time when it comes to being active on social media. On the other hand writing could be your full-time job, and you still don't have enough hours in the day to fit in your time on social media. Balance is required when using social media, allowing you plenty of time to get the most important job done, your writing. Decide on your long term goal. What is your endgame? Do you want to sell your books? Or may be you want to become an authority figure in your chosen niche online. Deciding on your goal will help you divide up your time, and become more efficient on social media. Is Social Media Compulsory for Writers? I think good writing should be the main priority of any writer, then social media. You can't promote your work these days without it! If your internet was down and you couldn't get on any of your social media accounts, sure it would be hard, for a little while. Writing is at the heart of what you do, and if you're not on social media, you should be thinking about your next story or idea for a blog post. I spend my allotted time on social media, six days a week. And the rest of the time I devote to my writing, and maintaining my blog. I don't feel the need to be on every platform The pressure to be on every platform isn't there for me. At the end of the day you need to do what you feel is comfortable and what you're able to do on social media, to move yourself forward as a writer. I guess the point I'm trying to make is "just write". I'd love to hear your thoughts about social media, in the comments below. While social media DOES help develop an audience, for the writing, itself, sometimes the writer needs to be AWAY from social media. It's a balancing act, to be sure ! Thank you for your comment Johannas:) yes it's definitely a balancing act.